I cannot take credit for this idea, but I just had to share!! 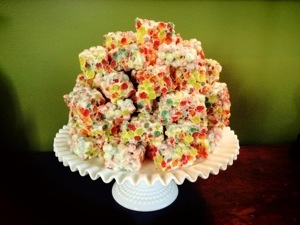 I popped onto Pinterest to find a quick and easy dessert for a picnic we were attending, when I stumbled onto this awesome recipe for “Trix Crispies”! 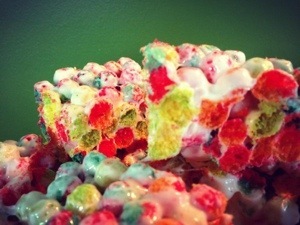 They were so easy, very tasty, and adorable. 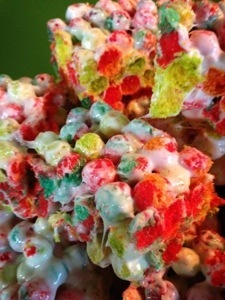 I highly suggest you pop over to this blog and try them.